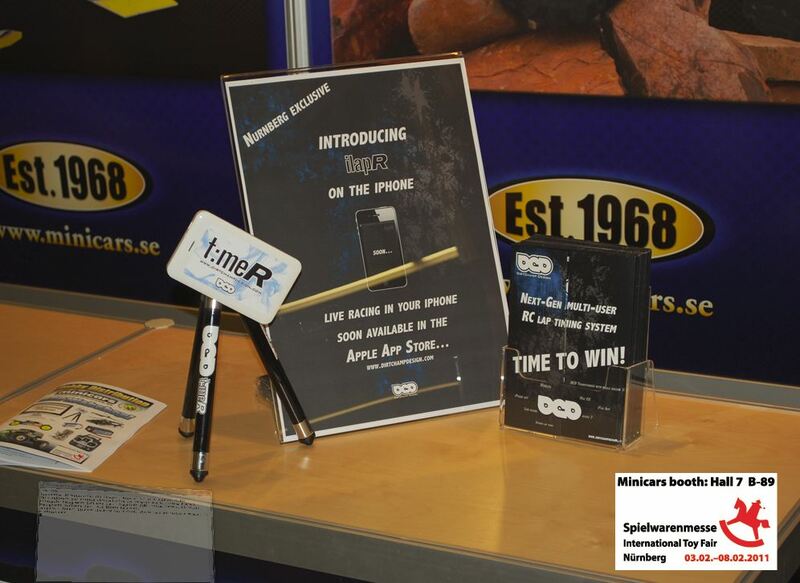 DirtChamp Design are showing their news together with Minicars, their newly signed distributor. All users of DCD TimeR will have the benefit of viewing their lap times in an iPhone. The new iPhone application will enable unlimited users on each system to view their lap times separately.To be released April 2011. LapR, the lap timing software, will include the newly developed voice functionality. This enables the user to get the lap times spoken to you while driving. Either you use a pair of loud speakers or you connect a Bluetooth head set to the computer. To be released during April 2011. A specific club kit is released, which includes 10 transponders numbered from 1 to 10. This makes it easier to create races using hand-­out transponders. To be released March 2011.